Evolution Baseball took the field against TCB Black in their first pool play game of the 2017 13U NYBC New England Championships. EB cashed in on a leadoff walk drawn by Matt Lussier, with Lussier swiping both 2nd and 3rd base before Jimmy Railsback drove him in with an RBI single. The two teams exchanged body blows over the course of the next few innings, with the score tied at 5 going into the 5th inning. Back to back walks issued to Railsback and Alex Irizarry set the table for cleanup hitter Drew Renzella. Batting with two men and 1 out in the top of the 5th, Renzella doubled to right field, scoring 2 runs. Renzella’s double was followed by a Dante Reno RBI double, extending the Evolution lead to 8-5. Matt Lussier and David Blair combined for 3 shutout innings of relief pitching to help EB slam the door on the 8-5 pool play victory. Despite a 2 RBI double from Dante Reno in the opening frame, the second pool play game of the tournament saw Evolution Baseball fall behind early against the South Troy Dodgers, a deficit which proved to be insurmountable. The South Troy squad responded after two quick Evolution runs with 3 runs of their own to reclaim the lead for good in the home half of the first inning. After a promising start, the EB bats went uncharacteristically quiet for the rest of the game, mustering just 3 hits in the contest. The Dodgers took a 6-2 lead into the 6th inning where they put the game out of reach with a 5 spot, pushing their lead to 11-2, which is how the game would end. Looking to bounce back after a tough loss the day before, Evolution Baseball returned to the diamond to take on the 13U Fairfield County Captains in the 3rd pool play game of the tournament. Evolution entered the top half of the 2nd inning trailing by a score of 2-1. That was when the floodgates opened. With the previous day’s loss fresh on their mind, EB responded to trailing again with a 10 run onslaught in their second at bat of the game. A 1 out RBI groundout from Charlie Denomme tied the game up at 2, but Evolution Baseball would continue to be near unstoppable with 2 outs, scoring 9 more runs in the frame before Fairfield could record the 3rd out. Ryan Porth got the two out rally started with a well hit double down the left field line. Matt Lussier followed Porth’s double with a double of his own, chasing Porth in to score. Four consecutive walks issued to Railsback, Irizarry, Renzella, and Reno resulted in two more runs for EB before a bases clearing double from Clark Churchill extended the Evolution lead to 9-2. David and Jack Blair kept the two out magic alive with a RBI singles from each, putting EB up by a score of 11-2. An RBI triple from Irizarry and another RBI single from J. Blair in the 3rd inning gave Evolution 14 runs on the day as they earned a 14-4 win over Fairfield County. Needing a win against a TCB American squad to ensure themselves a spot in the semifinals, Evolution Baseball used a sustained offensive attack en route to a 10-2 victory in their final pool play game. Led by David Blair’s 4 hit and 3 RBI performance, EB pounded out fourteen hits in just 6 innings. Dante Reno and Jimmy Railsback also delivered offensively, combining to go 5-8 on the day. Clark Churchill was dominant on the mound for Evolution, as the RHP tossed 5 innings of 2 run ball on his way to earning the win. In a rematch of the game just a few hours prior, Evolution Baseball was once again pitted against TCB American, this time in a win to advance semifinal contest. EB jumped out on top in the bottom of the 2nd inning when a Clark Churchill walk was followed up by back to back 1 out singles from Jack Blair and Charlie Denomme to load the bases with 1 out. David Blair then lofted a towering fly ball to centerfield, scoring Churchill on a sacrifice fly, and giving Evolution a 1-0 lead. The early lead would only be temporary though, as TCB scored 8 runs in the 3rd inning, with 10 consecutive men reaching base via a walk, hit, or error at one point during the inning. Rather than caving in after the big inning from TCB, Evolution responded with 2 runs of their own on RBI doubles from Drew Renzella (3-3 w/ 3 RBI) and Clark Churchill (2-2 w/ 1 2B, 1 BB, & 2 RBI), closing the gap to within 8-3. Matt Lussier took the mound for Evolution in the top of the 4th and he responded to the challenge with a 5 pitch, 1-2-3 inning, helping Evolution continue to establish momentum. Buoyed by their resilient attitude, which has become an Evolution Baseball hallmark, and the shutdown inning from Lussier (3 IP, 0R, 4K) EB scored another 3 runs in the bottom of the inning. The home half of the 4th opened up with 3 straight singles for Evolution from D. Blair, Matt Lussier, and Jimmy Railsback. Batting with the bases loaded and nobody out, Alex irizarry’s sacrifice fly pulled the Evolution squad within 8-4, and they weren’t done yet, as a 2 RBI single from Drew Renzella later in the inning helped EB inch even closer with the score 8-6 heading into the 5th inning. Ryan Meyer (Shrewsbury, MA) started the bottom of the 5th with a line drive double before being thrown out trying to advance to 3rd on a David Blair ground ball. With Blair on 1st and 1 out Matt Lussier drove a single through the right side, allowing Blair to advance to 3rd base. Railsback followed Lussier’s single up with an RBI groundout, moving Lussier to 3rd base on the play, while cutting the Evolution deficit to just 1 run. The deficit would not stand for very long however, with Alex Irizarry lacing a game tying RBI single up the middle to cap off the inning. Following another 1-2-3 inning from Lussier in the top of the 6th, and with the 2 hour time limit rapidly approaching, Churchill started the bottom of the 6th inning off with a bunt single, as the momentum that had been building for Evolution Baseball now seemed to be at a boiling point. After the Churchill single Jack Blair was hit by a pitch, putting runners on 1st and 2nd with nobody out for Ryan Meyer (2-2 w/ 2 2B & 1 RBI). Meyer promptly handed TCB the loss, rocketing the first strike he saw into the gap for a game winning RBI double. Evolution Baseball connected on 17 hits in the contest, as they overcame their 6th deficit of at least 6 runs in the last 3 weekends, defeating TCB American 9-8 to advance to the championship game for a rematch with the South Troy Dodgers. Taking the field for the fourth time on the day, and with their defeat at the hands of the Dodgers the prior day, Evolution found themselves in yet another rematch, battling the South Troy Dodgers for the tournament championship and an automatic bid to the NYBC National Championships at Baseball Heaven. If South Troy was expecting the same result as the day prior, they would learn quickly that they were sorely mistaken. EB wasted no time in making a statement, scoring 3 runs in the top of the 1st inning on RBI singles from Alex Irizarry (3-4 w/ 2 RBI & 3 R), Drew Renzella (3-3 w/ 2 RBI & 1 R), and Dante Reno (1-3 w/ 2 RBI). Dante Reno (CG, 3 ER, 5 K) was effective pitching with the lead, limiting the South Troy team to 1 run over the first 3 innings. With Reno on cruise control and the championship in sight, Clark Churchill decided to put the exclamation point on the team’s 4th victory on the day, launching a majestic grand slam in the top of the 4th to give Evolution a 9-3 lead. South Troy would score 2 runs in the bottom of the 5th inning before Reno stifled their rally, earning the win in Evolution’s championship clinching victory. 4 games in one day did nothing to slow down the EB offense, with the team going 4-0 on Sunday while outscoring the opposition 43-17 on their way to winning the championship. 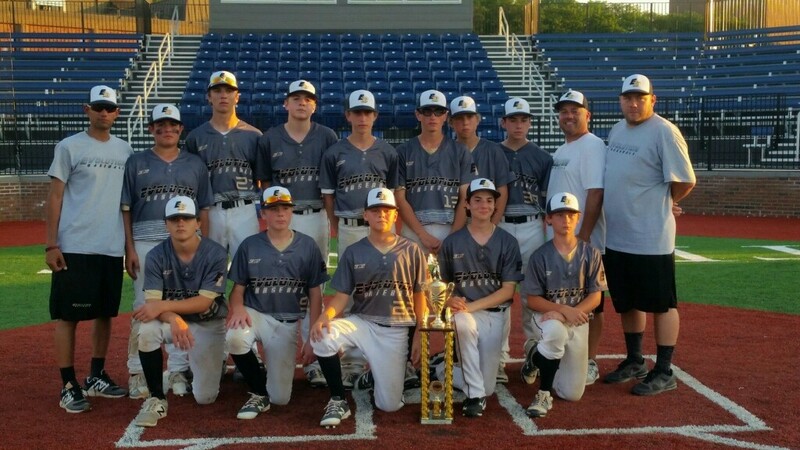 With the NYCB New England win Evolution Baseball secured a spot as one of just 12 teams in the prestigious NYCB National Championship at the end of July.